Warm up the bottle of oil in warm water for ten minutes. Apply to hair (wet or dry, but I find it applies easier to wet hair), wrap in cling film or a shower cap and then tie a towel around the top of that. Leave your hair like this for anywhere between thirty minutes and two hours. Wash out with shampoo, condition, dry and style your hair as normal. I love the outcome of this treatment! Recently my hair felt a bit dry and this used as a hot oil treatment replaced a lot of the softness that I lost in my hair. Along with this, my hair smells fantastic when it’s used! If you are after soft, silky smooth hair, give this treatment a whirl! It does take ages (I don't have 2 hours to spare to sort my hair as I do mine in the mornings! ), but if you can fit this in then it is so worthwhile. I get a bunch of other things done whilst I wander around with a clingfilm head. My boyfriend finds it hilarious, too. Apply a small amount of oil to the palm of your hands. Rub hands together to warm up the oil slightly and then massage it into the skin. I find these oils provide light hydration that I find brilliant for the summer months. Cream-based moisturisers can make places such as the crease of your elbow or the back of your knees a little icky (you know what I mean) so a lighter option is great to have for those hot days. This fits the bill! After filing, smoothing and buffing (or to whatever points you normally go in your manicure), apply some of the beautifying oil to your cuticles with a small brush. I didn't actually use a small brush to apply this, instead opting for my finger. It was super fast to apply and took a couple of minutes to fully sink into my cuticles. They do feel soft and it is a good cuticle oil, but I still prefer my trusty Burt's Bees Cuticle Creme as I find it to be more moisturising. This oil was far faster to apply though. Apply to the area you need to shave and… well, shave. If you read my Top 10 Multitasking Beauty Products post you will have seen me discuss my love of Aqueous cream in regards to shaving. However, I gave this a go and even though I can totally see why other people will love this (smooth skin, razor glides easily etc), I couldn’t get on with it because of the fragrance added. I need to use a totally fragrance free product on my legs otherwise I rash up like nobodies business! If your legs aren’t stupidly sensitive like mine though then give it a go! Apply a couple of drops sparingly to dry hair as a finishing serum. When I say sparingly, I mean sparingly! One or two drops more than you need and you’ll have hair that looks like it has just been dipped in a deep fat fryer. When the right amount is used though it can really rescue incredibly dried out hair. I have used it on very dry patches of my hair before but I have found that the goldilocks zone between ‘not enough’ and ‘enough’ is so minute that it takes so much time away just trying to not ruin my hair or to rescue it from its grease by attacking it with dry shampoo. This could also differ between person to person as my sister is able to use more than me without the same happening to her. Her hair is much thicker, a bit longer (shoulder length where as mine is to the bottom of my ears) and permanently dry whereas mine is fair, short and usually prone to greasiness when it isn’t going through a dry phase. I will stick with the hot oil treatment which for me is outstanding! Apply 2-3 drops of oil into the palm of your hand and rub your hands together to warm it. Gently massage the face. I was terrified to try this due to the fact that I have super oily skin, but I gave it a go anyway. I was so surprised! I have had these oils for ages and I continued to refuse the idea of applying them onto my face and now I wish that I hadn’t. My skin felt so lovely and soft after applying the oil, very reminiscent of how I felt after using One Love Organics Skin Savior Balm for the first time. It absorbed into my skin in no time at all which is an added bonus! Fantastic if you’re in a hurry and looking for a new moisturiser for your face! Also, as it is a dry oil, my face didn’t feel excessively oily at all. I can’t comment yet as to whether or not the use of this oil on your face will cause any breakouts as I need to see what happens in the coming days. I will update if there is a problem! I also can’t comment as to whether it makes your skin even oilier as of yet for the same reasons. Overall, my favourite uses for these oils are the hot oil treatment and as an all over body moisturiser. If my skin doesn’t have any blemish reactions to the facial application then this too could be added to my favourite uses! These oils are incredible for anybody who is looking to cut down their products on their dresser or who needs to get things done in a hurry. Just one bottle for a whole range of different elements of your routine! The absorption time is also a major plus for busy women. The oil takes close to no time at all to absorb, but because it is an oil it spreads across the skin far faster than a cream based product too meaning that application time is also fast. As it comes in a wide range of fragrances, there is surely to be a Beautifying Oil (or two, or three, or four…) that will suit everybody. Each oil costs only £9 for 100ml which may not sound like a lot of oil, but it truly lasts a very long time. 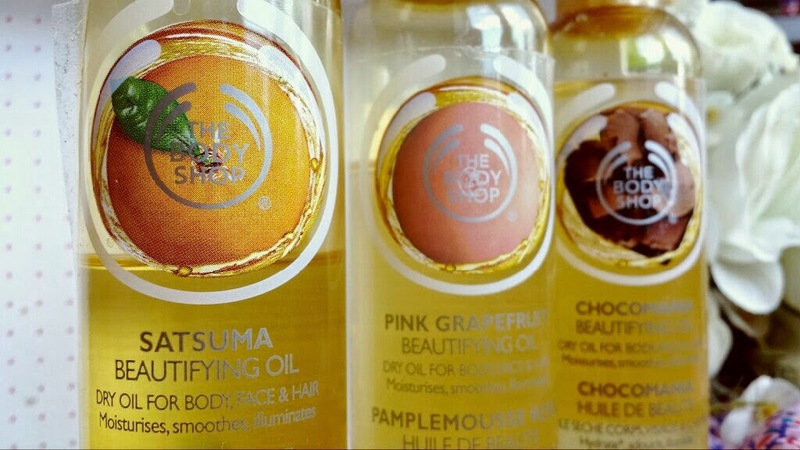 Also, with The Body Shop currently having a sale craze the chances of getting a great offer on these oils is incredibly high at the moment. At the time of writing, the current Body Shop offer is 30% off on purchases of 2 items and 40% off if you purchase 4 or more. Alternatively, VoucherCodes.co.uk currently has an offer to receive £10 off an order of £20 or more which is running until 28th April. 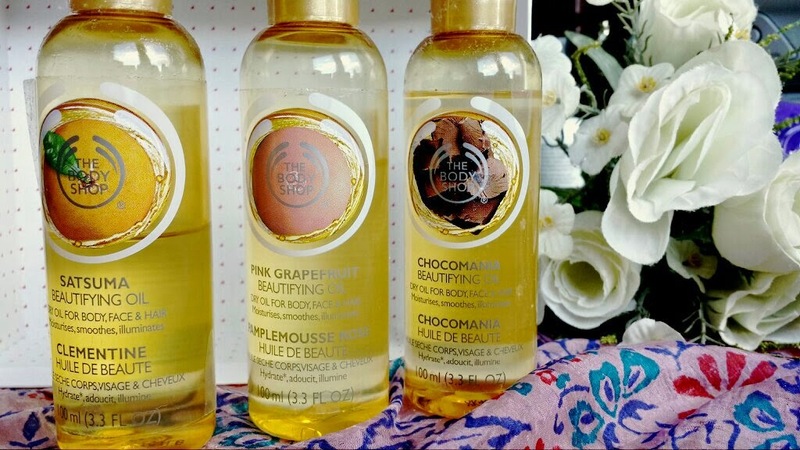 Have you ever used the Beautifying Oils? How do you use yours? Going through all of your posts about the body shop right now! Finally someone who loves them just as much as I do haha! I love this post so much thank you. I have actually never tried these before but their so multipurpose which I didn't realise till now! 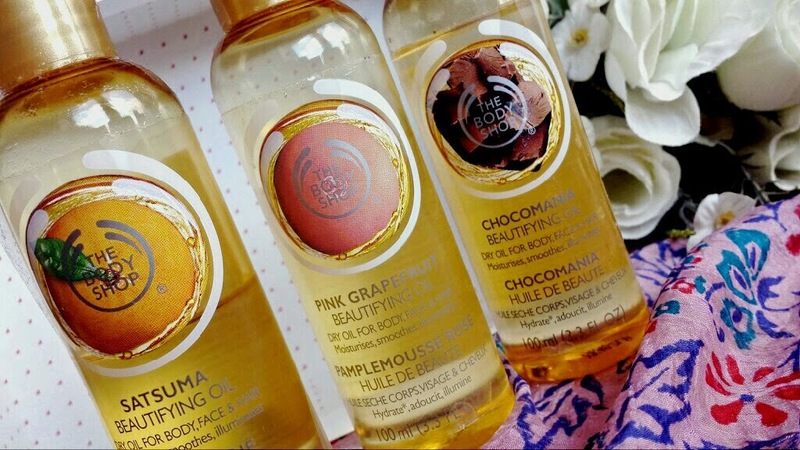 I do indeed rather love The Body Shop & these oils are so amazing for a whole range of things!